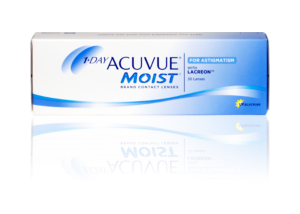 Lens Type: Daily disposable soft contact lenses for astigmatism. Package Details: 30 lenses immersed in buffered saline solution with Povidone. Material and % of content: 42% polymer (etafilcon A).